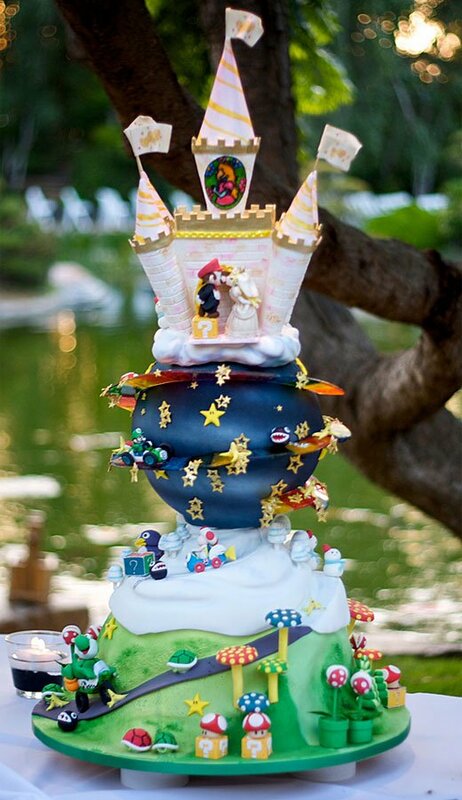 This Mario and Princess Peach wedding cake is quite possibly the finest piece of video game pastry work I’ve ever seen. 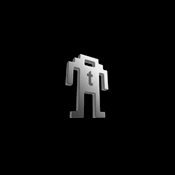 And I’ve seen a quite a few. Flickr contributor M.A.L. 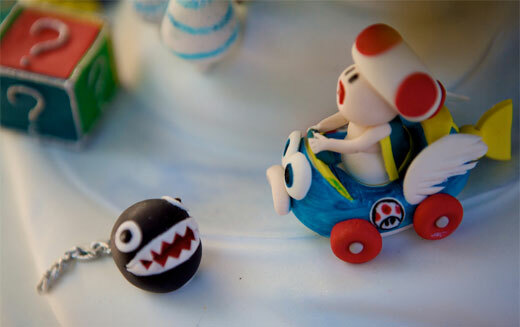 had this Mario Kart-inspired custom cake made for his recent wedding. 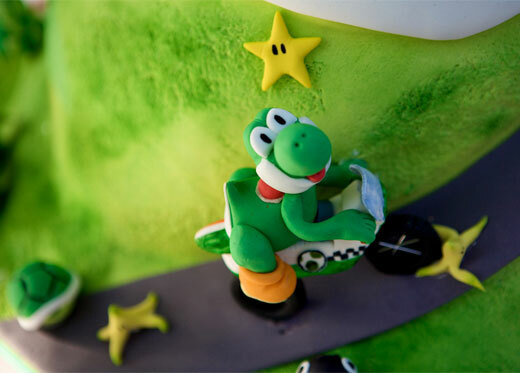 This intricate Nintendo cake was crafted by the cake artisans of Costa Mesa, California’s Let Them Eat Cake. Amazingly, everything in these photos is 100% eat-able. 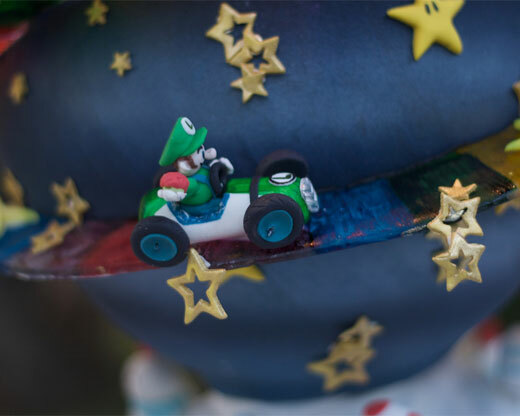 Mario, Peach, Luigi, Yoshi and numerous characters from the Mario Kart series make an appearance on this impeccable work of edible art. You won’t find any 1up Mushrooms inside this cake, but the so-called “Chocolate Decadence” cake is loaded with yummy chocolate buttercream, ganache, mousse. I’m getting hungry just thinking about it. 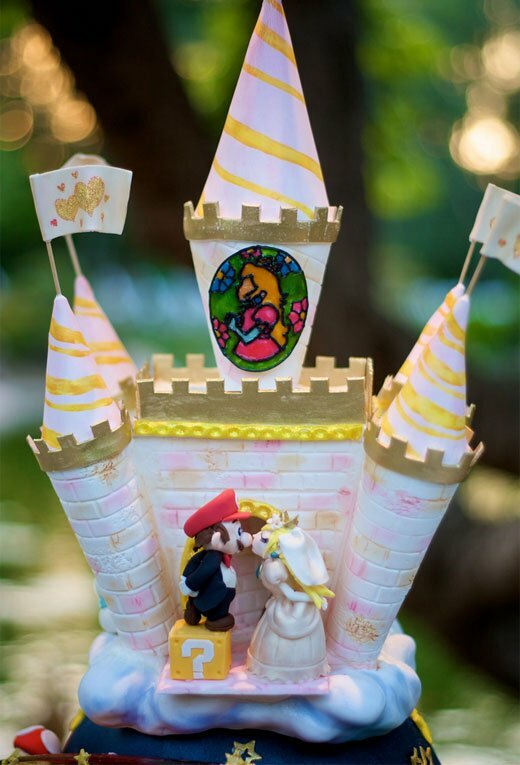 For more photos of the cake, including the original concept sketch, head on over to the complete Flickr photo set.